(Bloomberg) -- President Donald Trump is stepping up his campaign to exert influence on the Federal Reserve’s monetary policy. 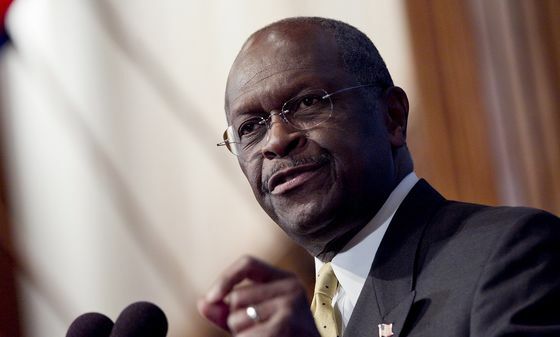 Trump intends to nominate Herman Cain, the former pizza company executive who ran for the 2012 Republican presidential nomination, to fill one of two remaining open seats on the Federal Reserve Board. 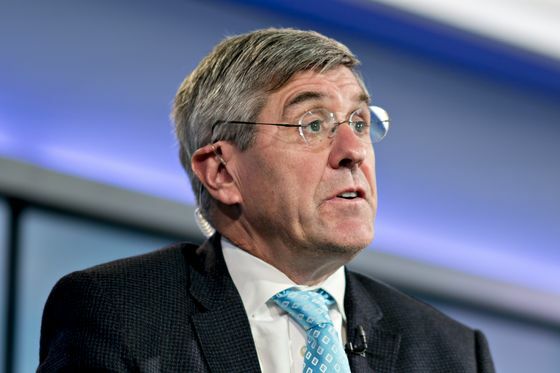 The move follows his selection last month of Heritage Foundation economist Stephen Moore for the other spot. Both would require Senate confirmation. The picks -- which differ sharply with the White House’s previous, more orthodox selections for the Fed -- would extend Trump’s efforts to influence the central bank by placing two loyalists on the committee that votes on monetary policy. The pressure started last year with angry Trump tweets over Fed interest-rate increases and by December had escalated to inquiries about whether he could fire Fed Chairman Jerome Powell. U.S. central bankers have since put rate increases on hold but the president is still not happy. Trump called Powell personally on March 8 after stocks slid following a weak labor report for February. On Thursday, Trump assailed the Fed for “unnecessary and destructive actions’’ on Twitter. Hours later the news of Cain’s planned nomination broke. Spindel noted that Moore and Cain differ starkly from previous White House picks, which in addition to Powell include Richard Clarida, a Ph.D. economist who has a lengthy research record on monetary policy; Randal Quarles, a former U.S. Treasury official with experience with financial regulation; and Michelle Bowman, a former state banking commissioner and community banker. The seats they’re being offered had previously been earmarked for Nellie Liang, a former Fed Board division leader with expertise in finance, and Marvin Goodfriend, a monetary scholar and Carnegie Mellon University professor. Liang withdrew her nomination after some Republican opposition, and Goodfriend’s nomination didn’t advance to a confirmation vote on the Senate floor. If confirmed by the Senate, Moore and Cain would have permanent votes on the rate-setting Federal Open Market Committee that they could use to dissent against Powell. That would fracture a long-standing tradition of mostly consensual policy, though with 12 votes being cast at every meeting when all seven Board seats are filled, they could be out-voted. “If you have two board members who are openly, vocally critical of current policy and the president is doing the same, that is going to make life more difficult,’’ said Peter Hooper, chief economist at Deutsche Bank Securities who previously worked at the central bank. He said it would be a distraction for Fed officials and investors. “I don’t think it would have a major impact on policy,’’ he added. Cain, who had a long corporate career, served from 1992 to 1996 on the board of the Kansas City Fed. He advocated for the U.S. to return to the gold standard during his presidential campaign and as recently as December 2017 defended higher interest rates, a position that contrasts with Trump’s repeated Fed criticism. GOP senators had a mixed reaction to Cain. Senator Richard Shelby, an Alabama Republican and a senior member of the Senate Banking Committee, said he doesn’t know enough about Cain and would have to wait for hearings. Cain ran for the 2012 Republican presidential nomination but dropped out in late 2011 after allegations he engaged in sexual harassment when he led the National Restaurant Association in the 1990s. An Atlanta woman said she had had an extramarital affair with Cain for more than 13 years. Former Fed Governor Laurence Meyer said he is suspending judgment on the nominees for now with the hope that they will feel responsibility for the task Congress gave the central bank -- maximum employment and stable prices.